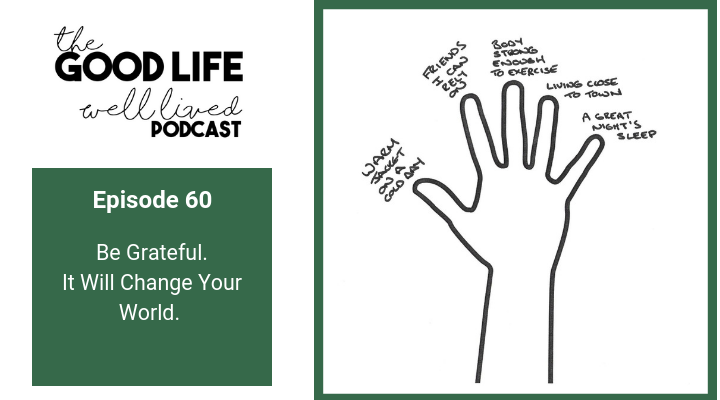 Welcome to Episode 60 of The Good Life Well Lived Podcast and in this episode we are talking about gratitude. We discuss the importance of being grateful for the journey we are on with our good live well lived. And while gratitude is a simple concept, regular practice provides extraordinary results. We discuss the power of taking time to be grateful for all that we have in life. I also share scientific evidence that reinforces that gratitude is not just a ‘good practice’ it makes a tangible impact on our personal well being.